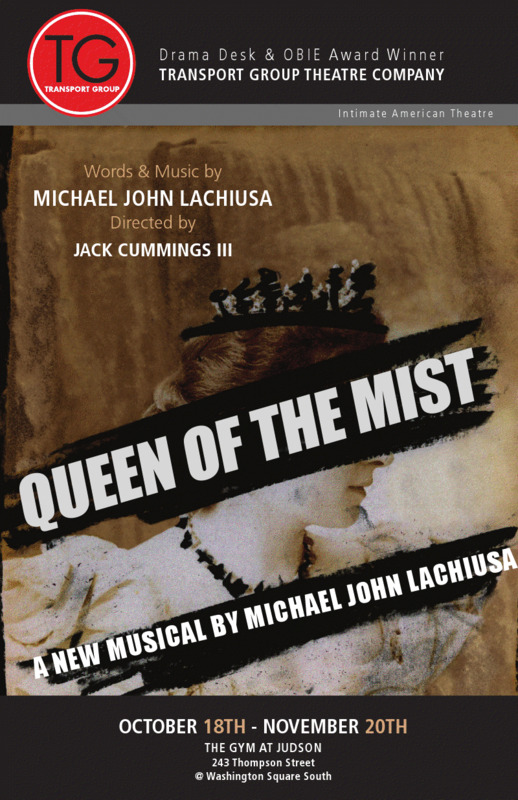 Queen of the Mist is a world premiere musical with words and music by 5-time Tony nominee Michael John LaChiusa (The Wild Party, Marie Christine, Hello Again). Based on an astounding and outrageous true story, two-time Tony nominee Mary Testa stars as Anna Edson Taylor, who, in 1901 at the age of 63, set out to be the first woman to shoot Niagara Falls in a barrel of her own design. Navigating both the treacherous Falls and a fickle public with a ravenous appetite for sensationalism, this unconventional heroine vies for her legacy in a world clamoring with swindling managers, assassins, revolutionaries, moralizing family, anarchists and activists. Convinced that there is greatness in her and determined not to live as ordinary, she sets out to battle her fear and tempt her fate. With a soaring score that incorporates turn of the century themes with LaChiusa’s signature complexity and insight, Queen of the Mist is the story of a single great fall, and how one woman risked death so that she could live. Directed by 4-time Drama Desk nominee Jack Cummings III (Hello Again, See Rock City & Other Destinations, The Boys in the Band), Queen of the Mist continues the long collaboration between Transport Group and Mr. LaChiusa, which includes the critically acclaimed Drama Desk-nominated productions of First Lady Suite and Hello Again. Queen of the Mist was commissioned by Transport Group Theatre Company and is the first production of Transport Group’s ten-year cycle, “The 20th Century Project,” exploring themes from each decade in the 20th century. Queen of the Mist takes place during the first decade, 1900-1910. Queen of the Mist was made possible through major support from The Shen Family Foundation.